The Eagles Glenn on Canada’s Prince Edward Island is a golf course that looks like it was built to host a PGA Tour event. 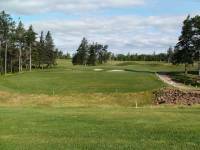 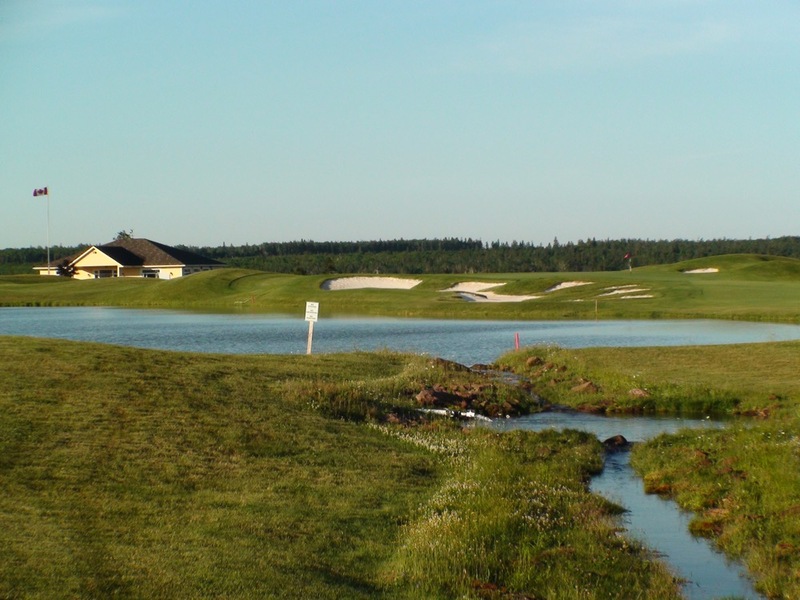 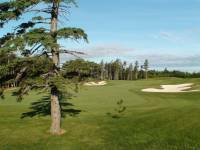 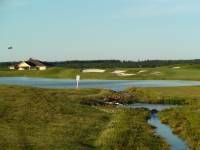 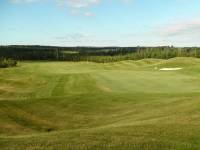 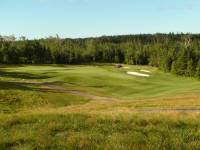 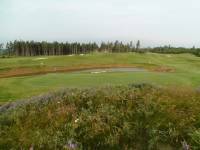 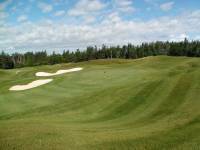 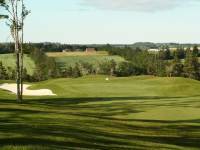 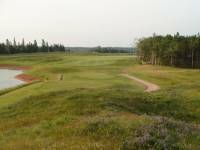 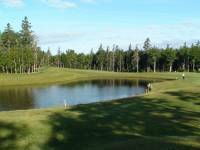 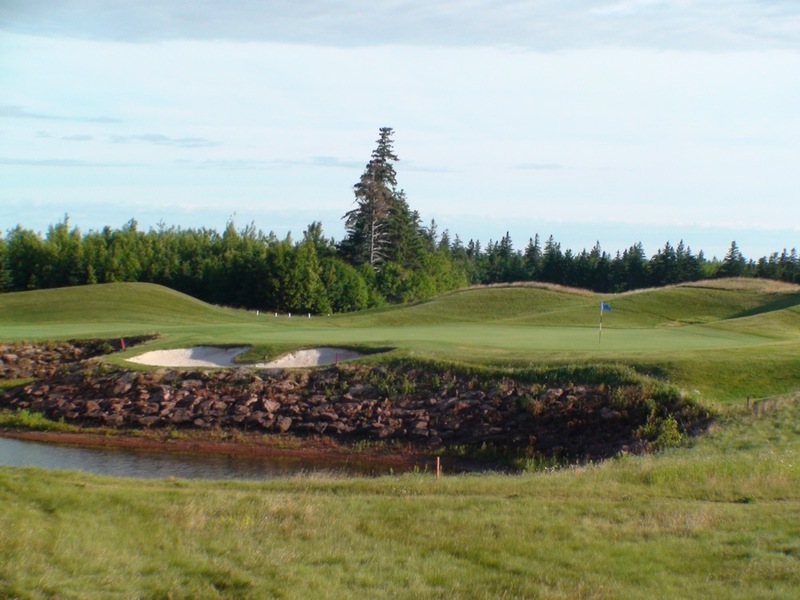 Located in the wonderful beach resort of Cavendish on the north end of PEI, The Eagles Glenn of Cavendish is “big-time” golf! 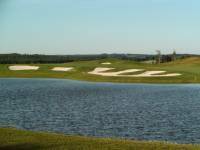 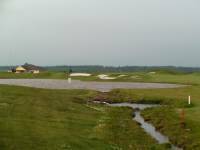 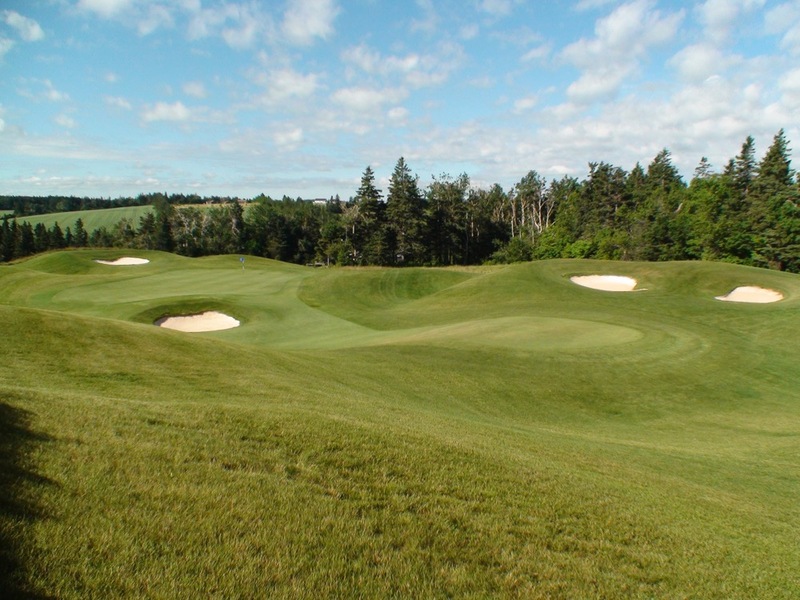 They could host the Canadian Open golf championship at The Eagles Glenn of Cavendish on a week’s notice. 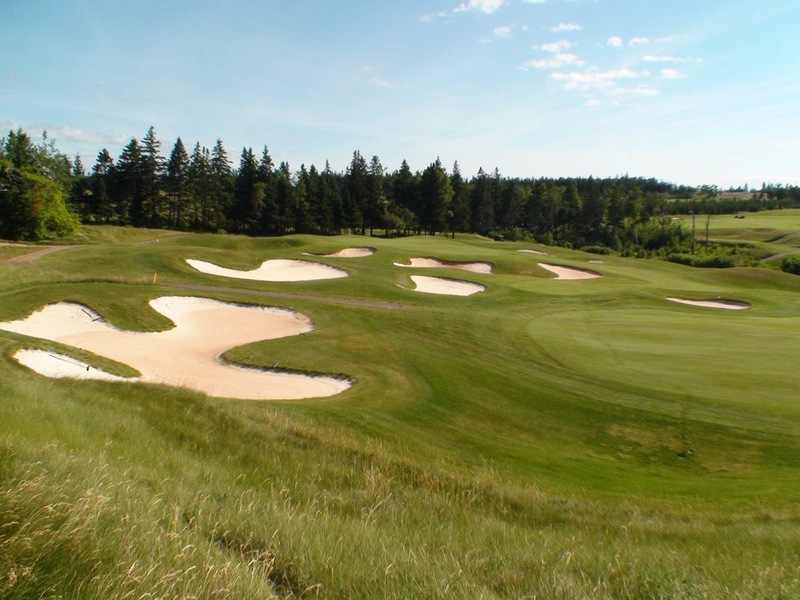 The bunkering at The Eagles Glenn is spectacular and the country views are unforgettable, especially beyond the green on the Eagles Glenn’s downhill par-3 4th hole. 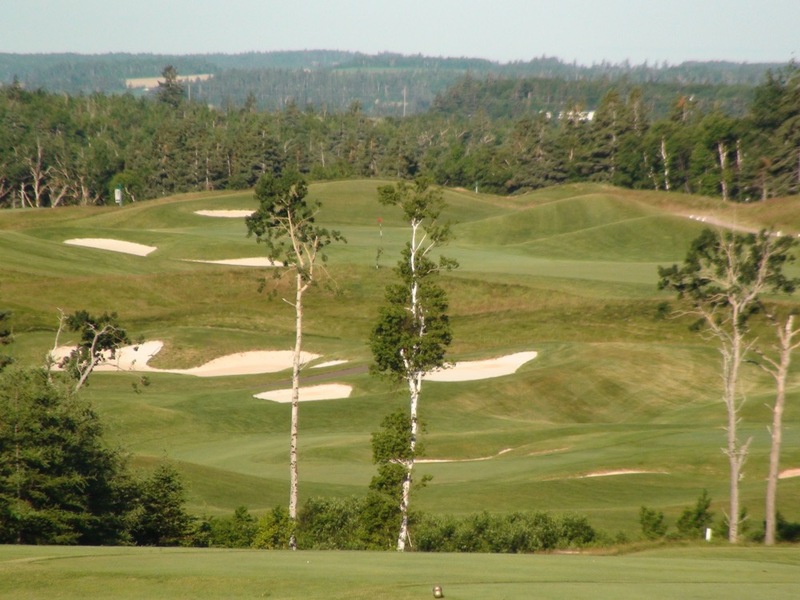 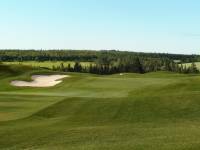 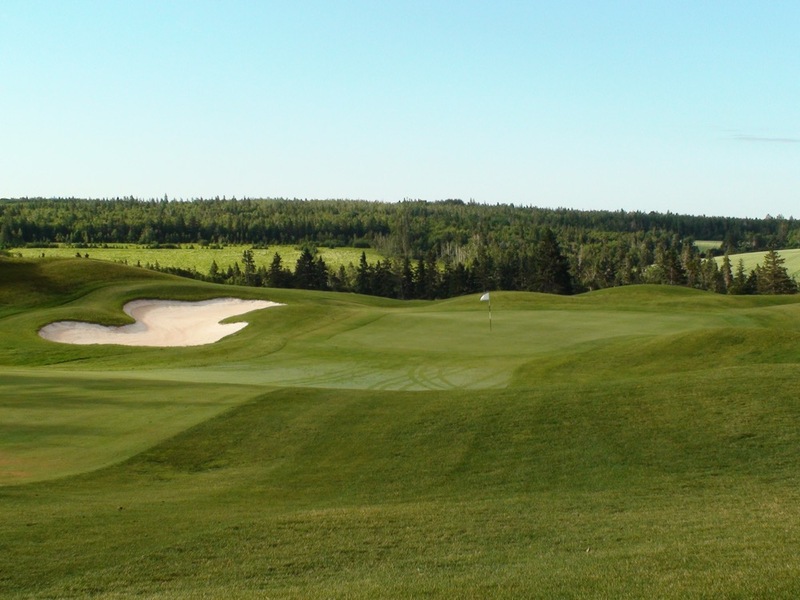 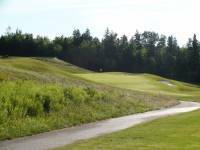 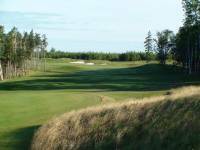 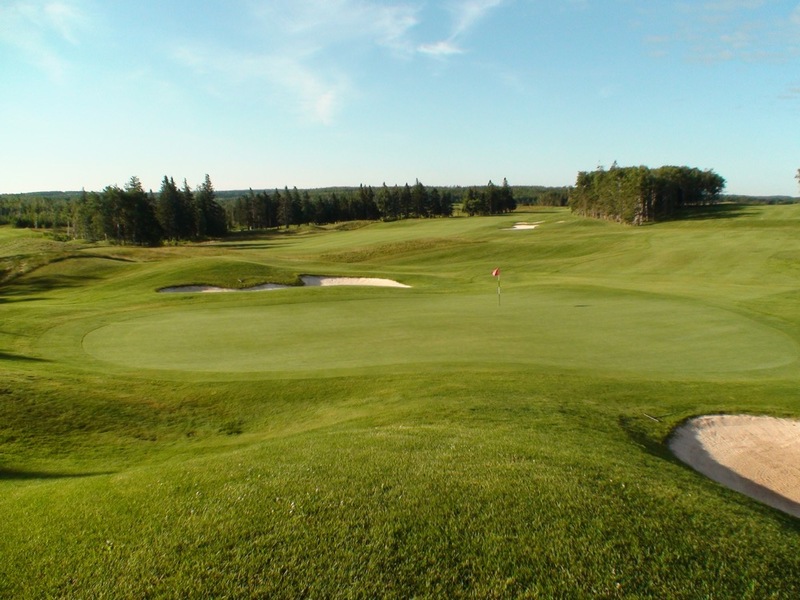 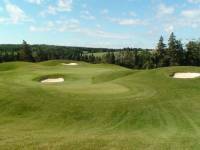 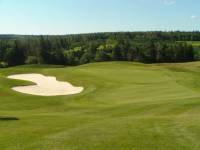 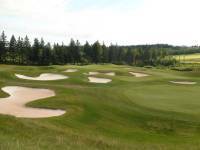 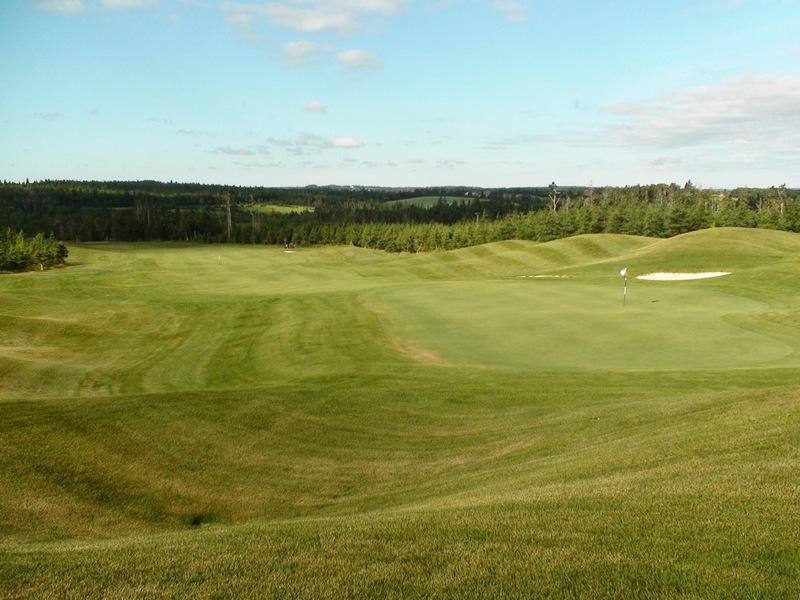 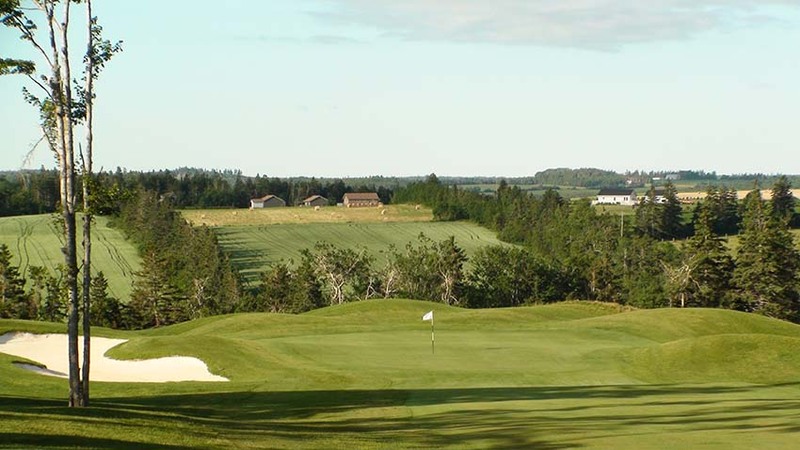 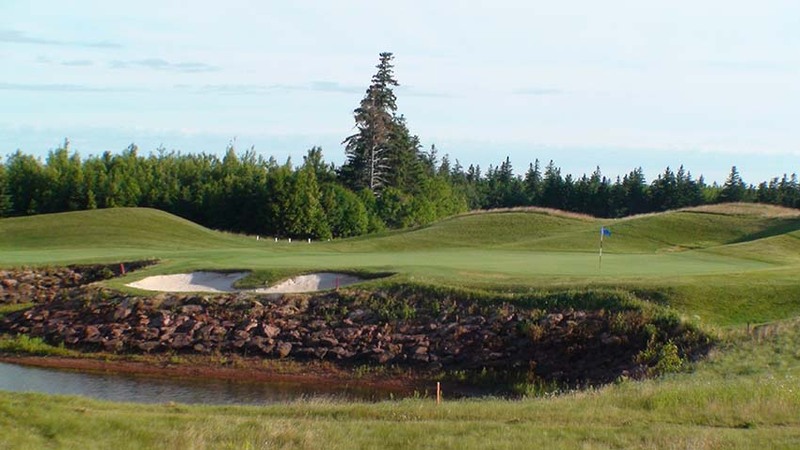 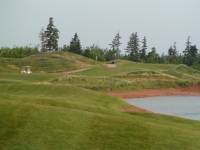 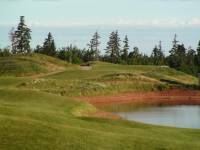 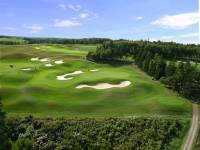 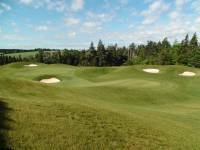 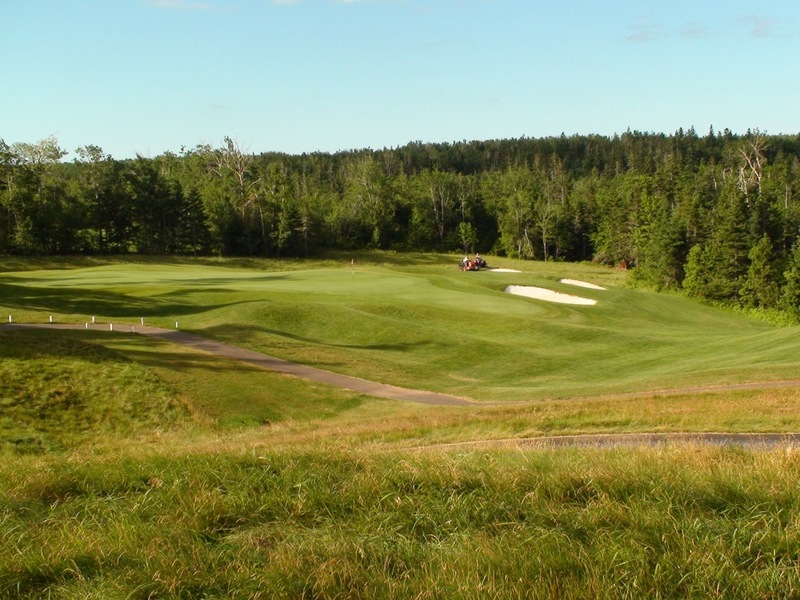 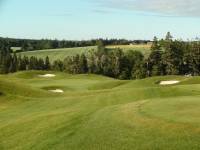 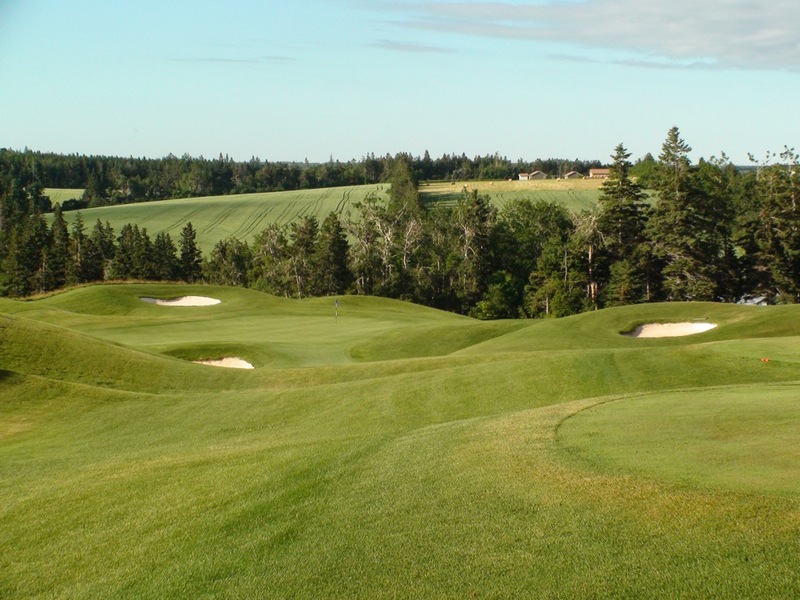 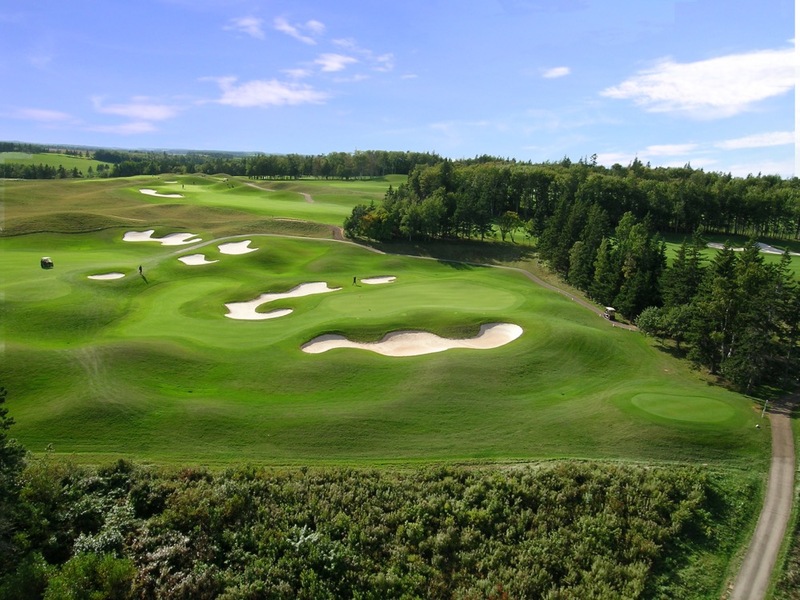 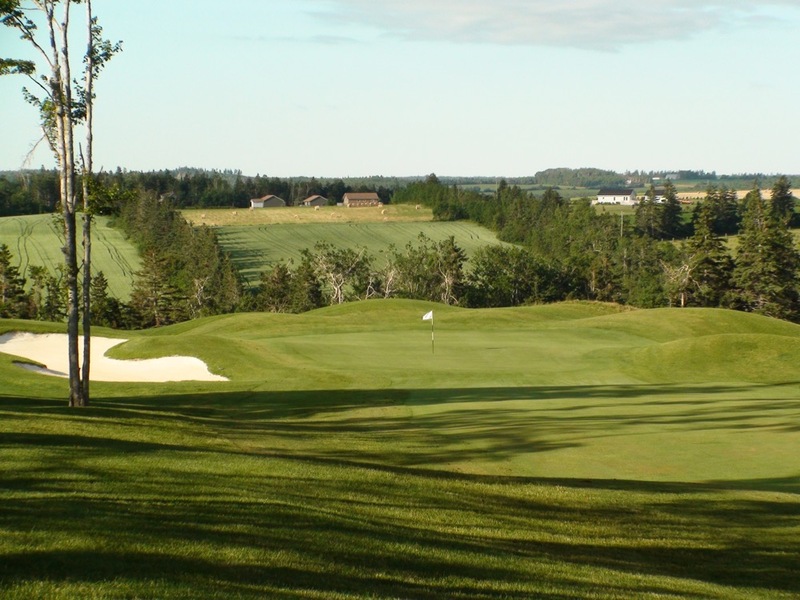 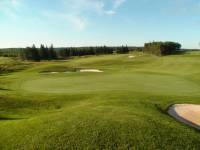 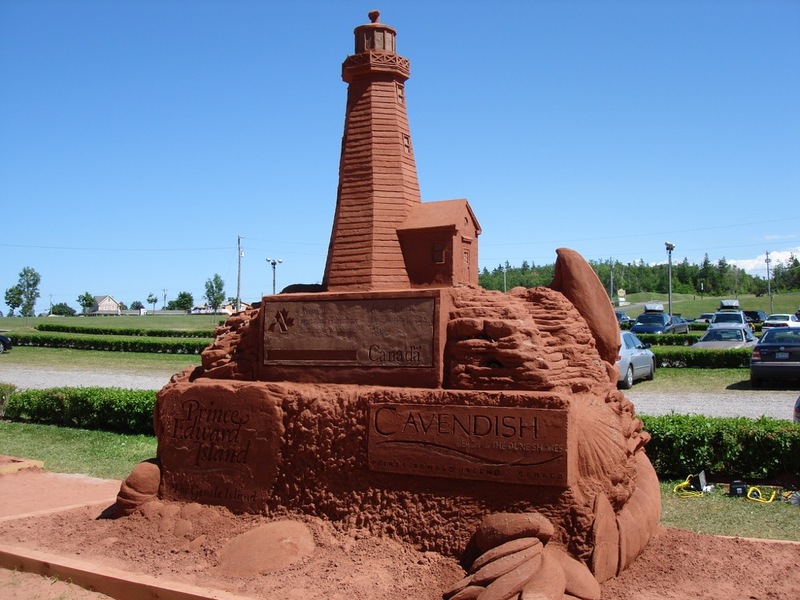 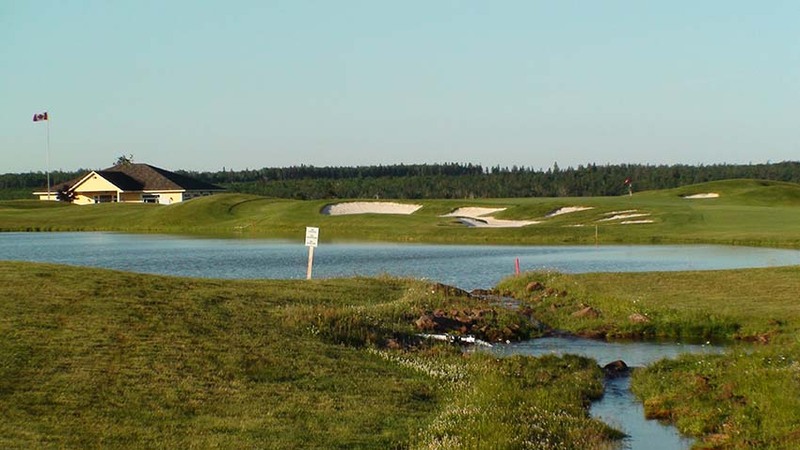 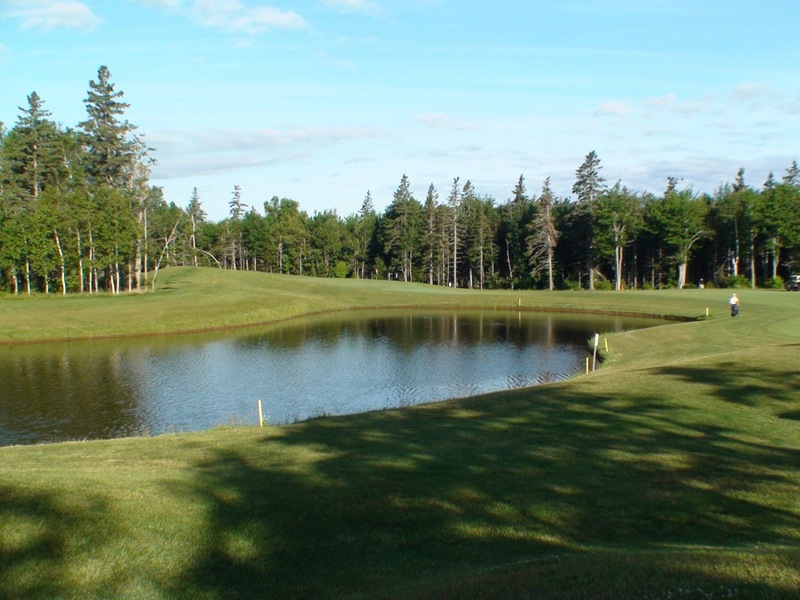 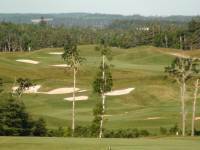 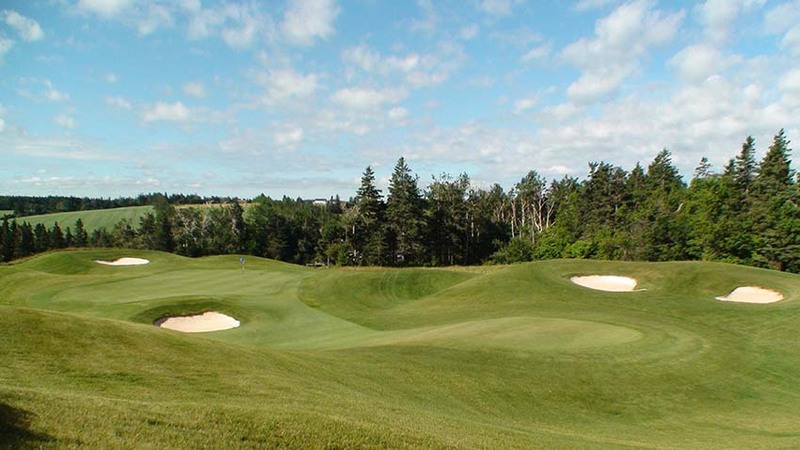 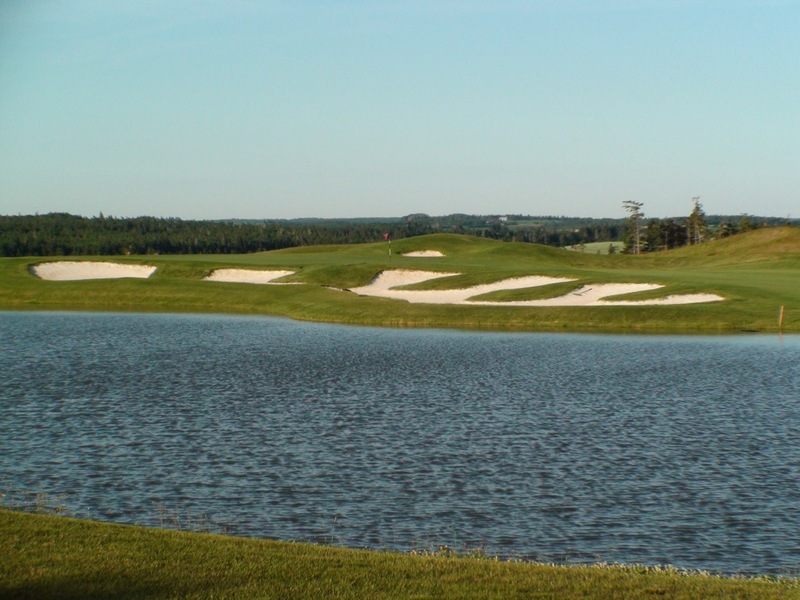 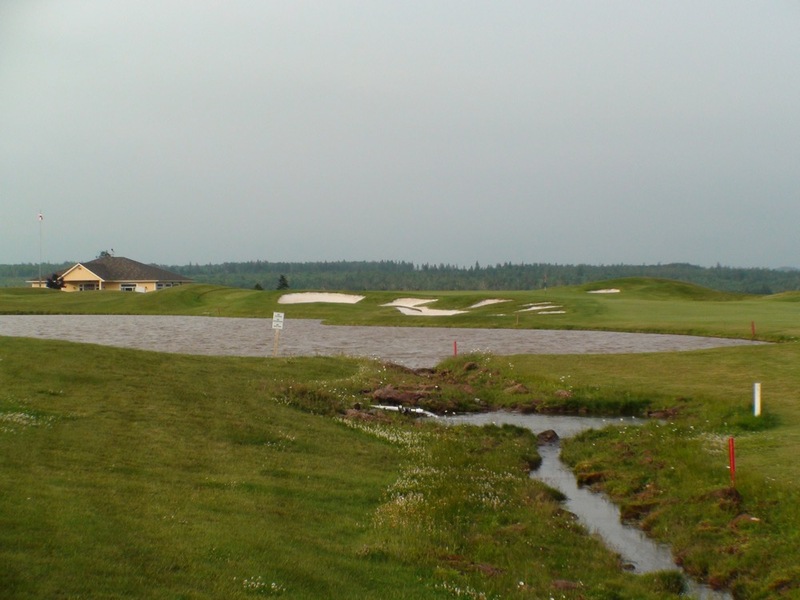 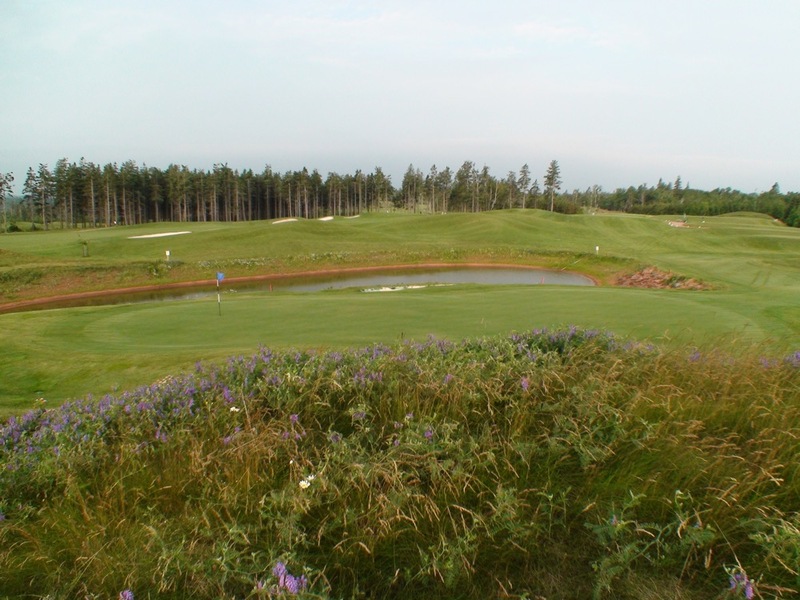 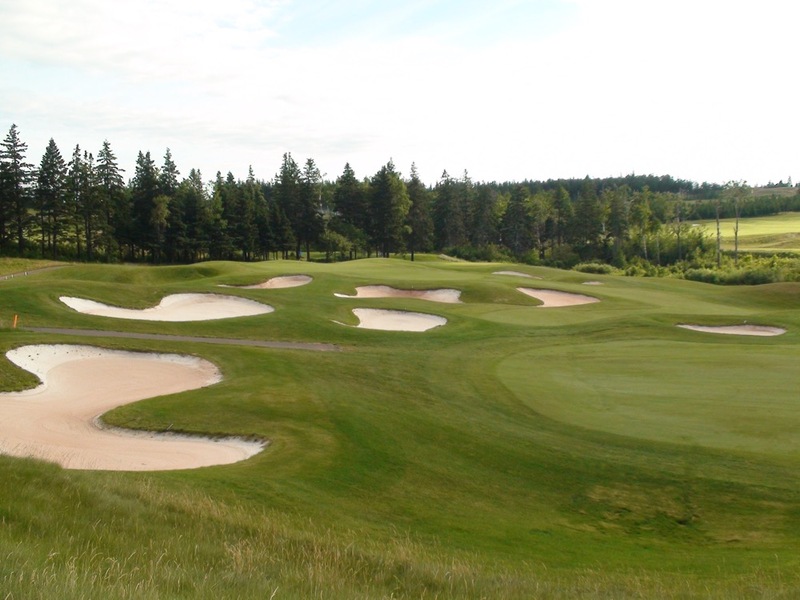 The Eagles Glenn of Cavendish offers subtle elevation changes and phenomenal bunker shaping that will appeal to any armchair architect, and “players” will likely come home saying that The Eagles Glenn of Cavendish was their favorite golf course on their PEI golf tour. 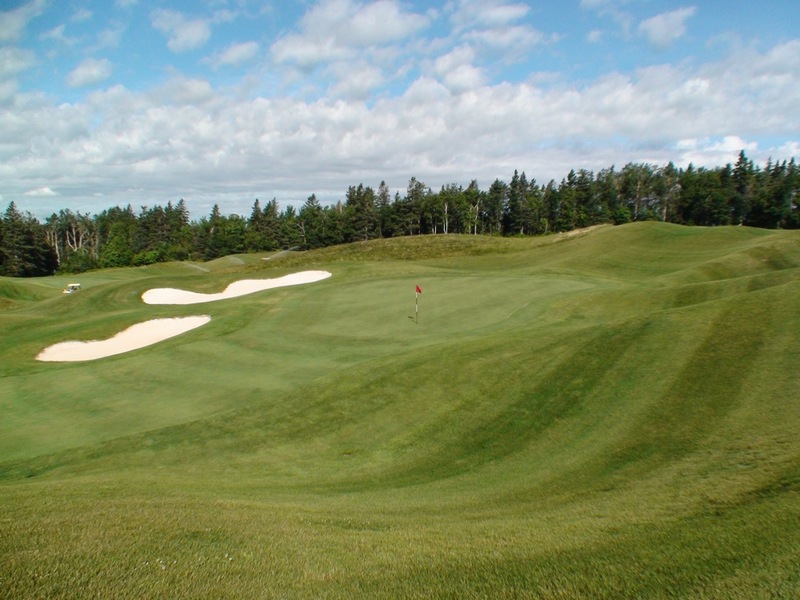 Make sure you look up to the sky occasionally when you play, as they didn’t name it “The Eagles Glenn” for nothing! 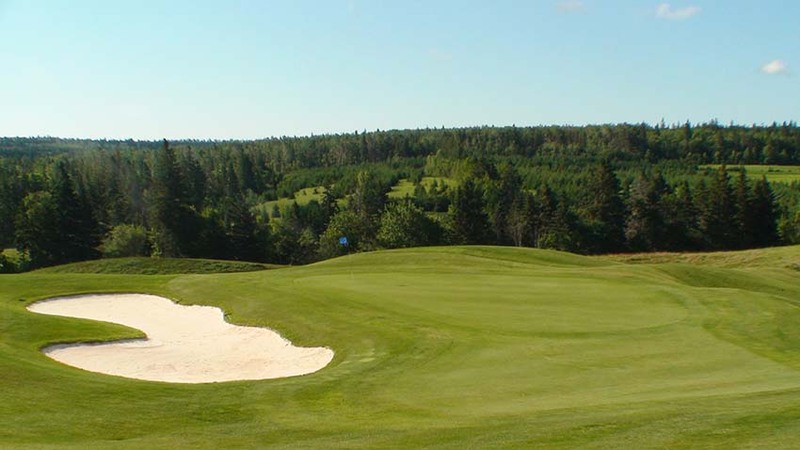 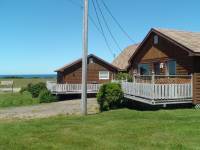 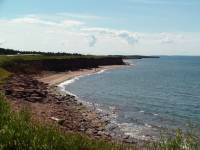 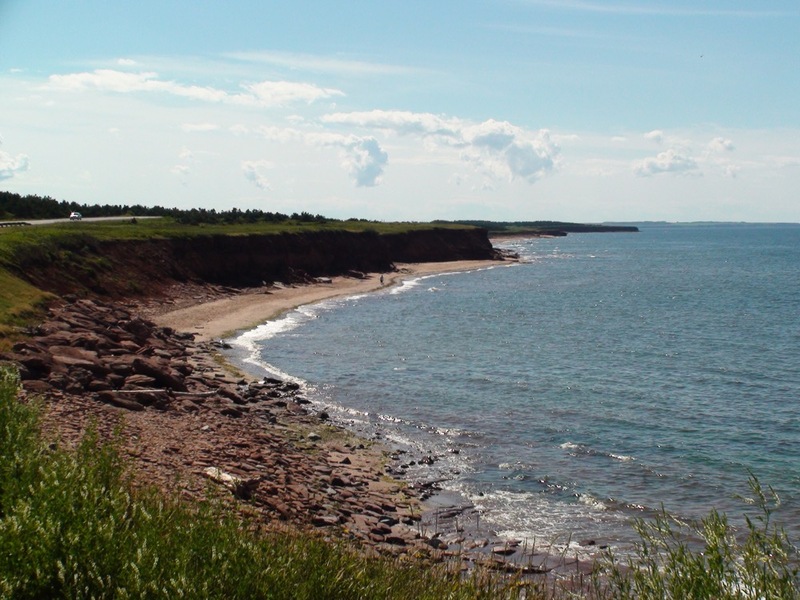 The Eagles Glenn of Cavendish is located right off of Route 6 in Cavendish and the famous beaches of Prince Edward Island’s Cavendish National Park, one of Canada’s most scenic, are just minutes away.